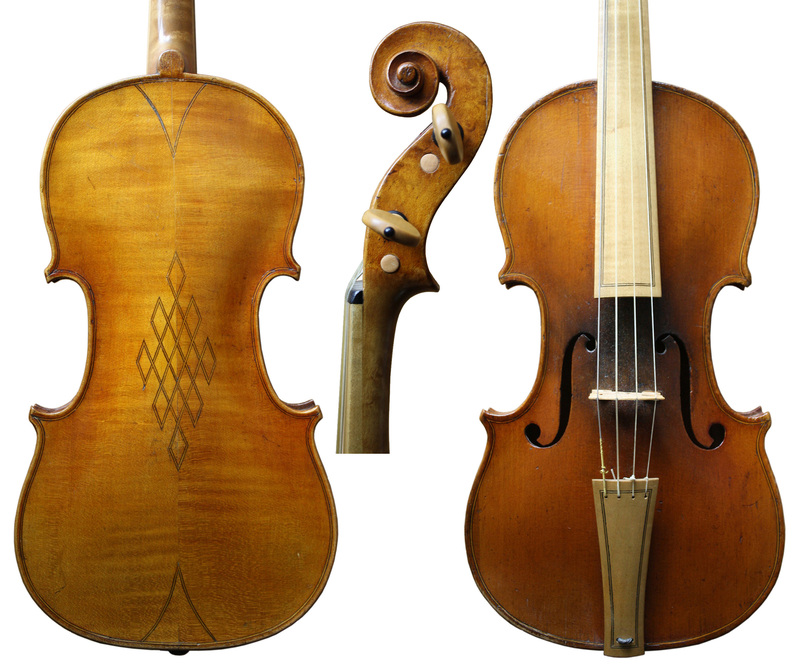 This violin was made by someone very closely associated with Thomas Kennedy in London c1800. 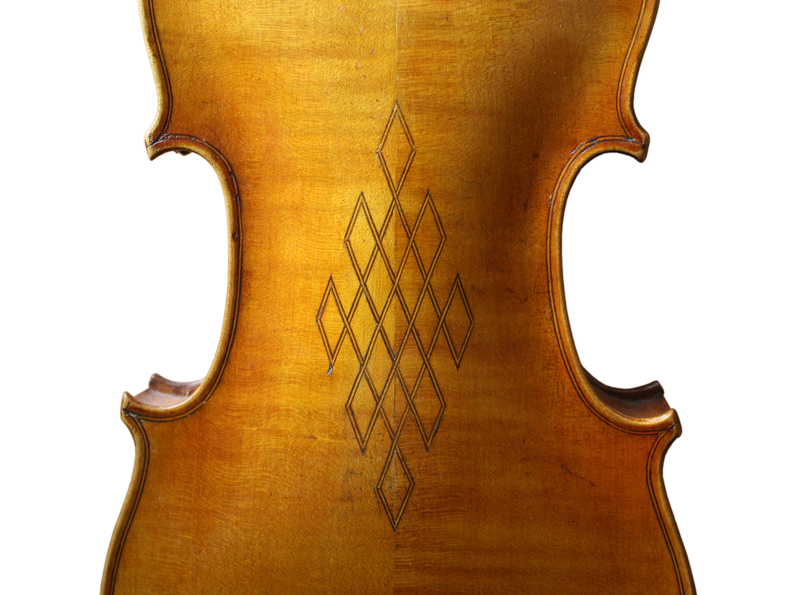 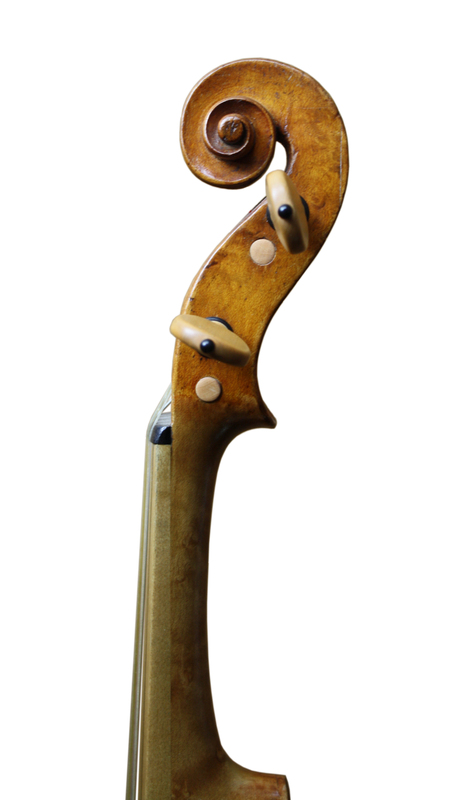 It was built on the small Amati pattern of that period in London and has a shortish string length. 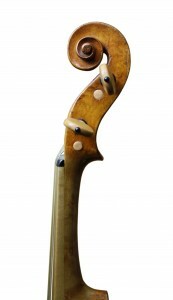 It has the original neck, a baroque setup, and purfling ornaments carved in the middle of the back.